Referral Rock has been busy over the last few weeks making some updates to our product that give you more reward options. 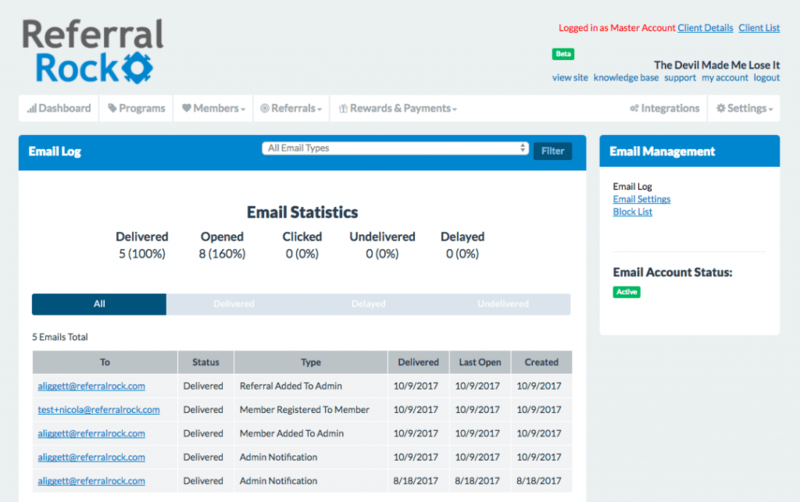 More accurately to manage your Referrals and Members, and better access to email and statistics tracking. Some of these are updates while others are all new features. A long-awaited new feature now offered is the ability to add Referral rewards other than ‘manual’ payouts. Setting up these rewards is reflective of the options you have when setting up and managing a Member reward. 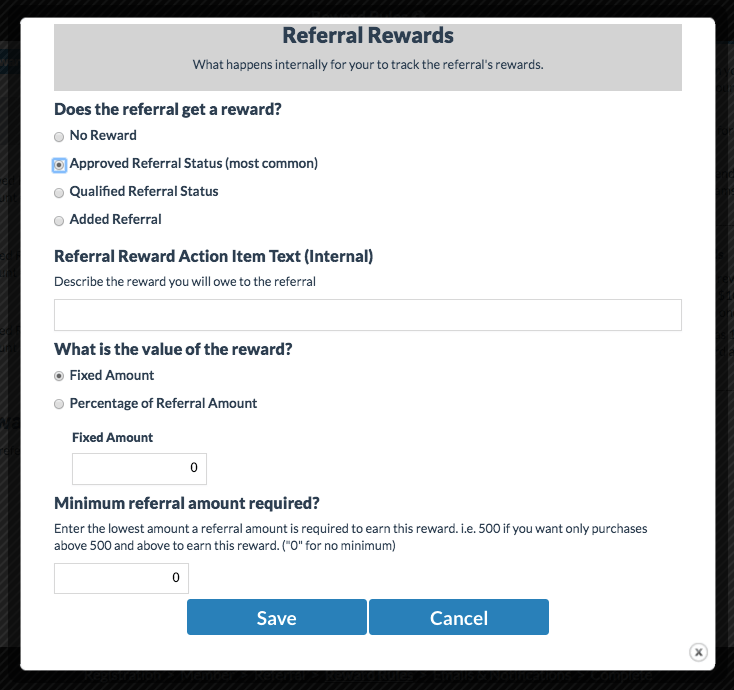 Including setting a referral status as the trigger, selecting a fixed amount or percentage reward, automatic reward distribution, batch issuing of rewards to referrals, and adding manual rewards from the individual referral view. For more details on setting up rewards, check out Rewards Settings in our Knowledge Base. There were a few additional updates made to reward structure and distribution options. The ability to define a minimum referral amount required has been added to both Member and Referral Rewards. This allows you to limit the number of low-value rewards that might be distributed through your program. 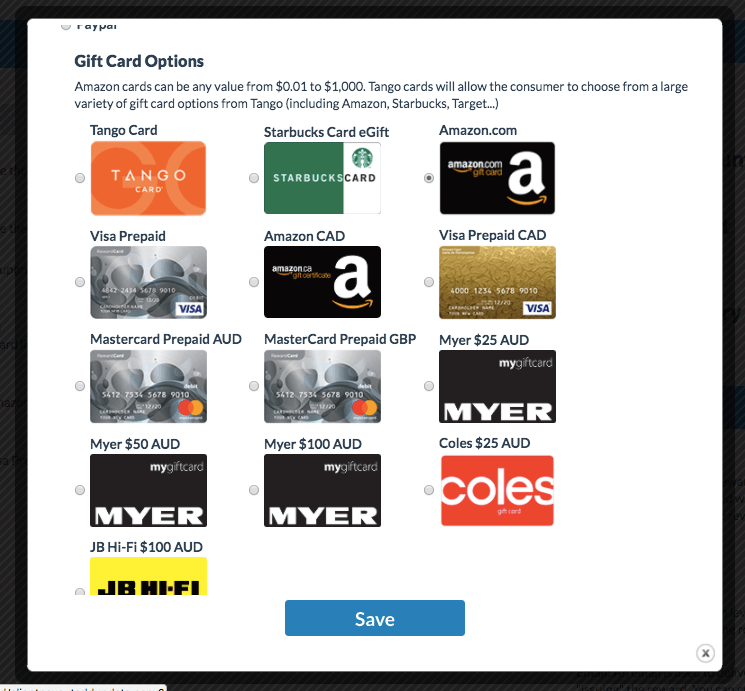 We now support the auto issuance of a reward upon creation as well as a Starbucks gift card as a reward option. 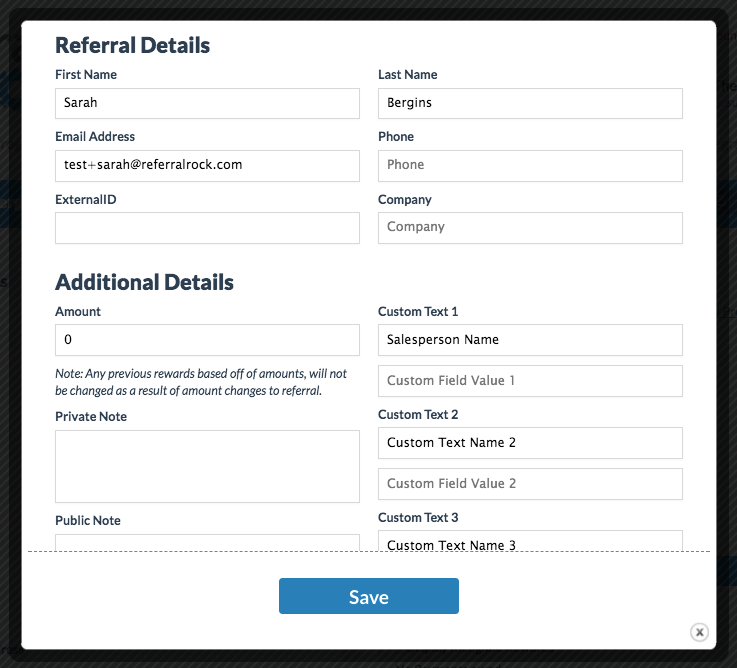 Many adjustments were made to the Referral and Member management within Referral Rock, most specifically within the admin UI. We have greatly expanded the number of fields you can update when editing a Referral including the ability to update both custom Member and custom Referral fields through the individual view in the admin UI. We have also made the admin notification optional when directly adding a Member or Referral through the admin UI. 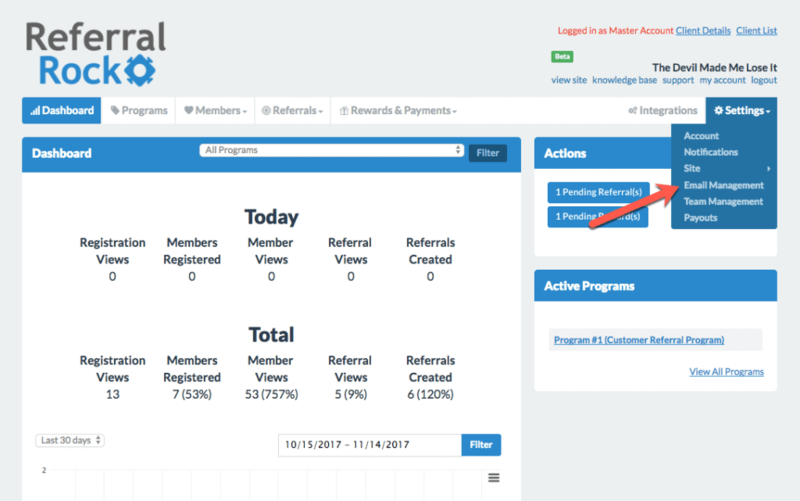 A few updates were also made to the Referral capture process. The ‘Email Address’ field when using the Referral Form page is now optional instead of required and ‘Company Name’ has been added as an optional field, as well. Finally, when adding parameters to a Member’s referral page link, the parameters will automatically get added to the redirect URL. This allows you to redirect your Referrals in a more targeted manner on a Member by Member basis. 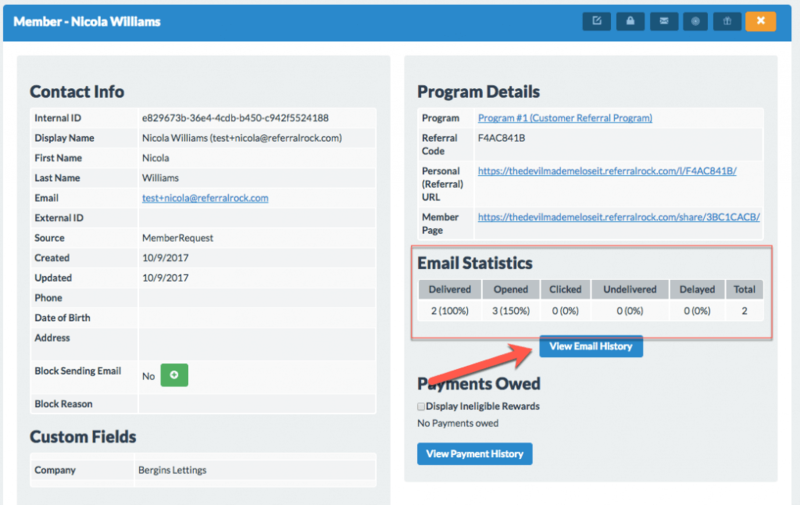 We have put together some advancements to our email logs and statistics view to allow you to more easily gain insight into what’s happening with the emails in your referral program. The largest change was adding the area for Email Management under your Settings tab that allows easier access to your email logs as well as our email blocking features. 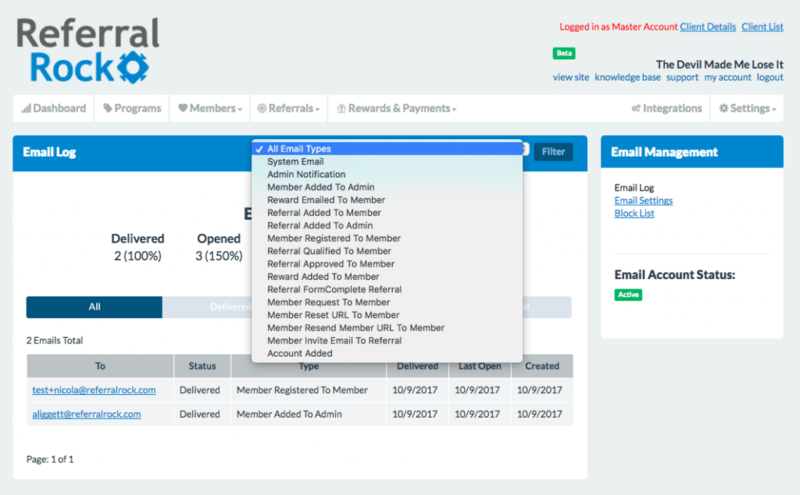 While you are able to view account wide emails, statistics, and filtering by type within your Email Log, you can also view and filter emails by Member and Program from the Member view and Program view pages, respectively. The specific statistics of each of these objects is available across the top of these pages, as well. View our last product update.